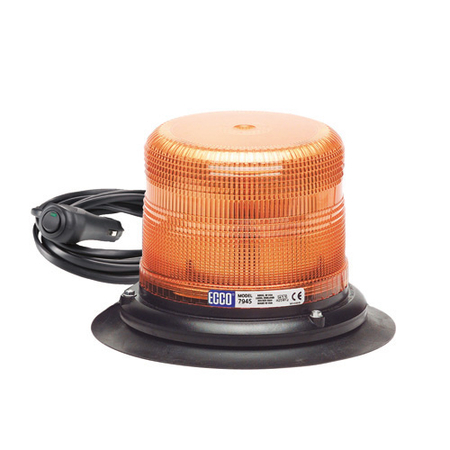 The 7945 Series beacon combines all the major benefits of the latest LED technology with a traditional, strobe style housing at a price point comparable to a strobe. Available in either 5" or 7" height profiles the 7945 is suitable for a wide range of applications where a SAE Class II light is required. The 7945 features 12-48V operation and 11 flash patterns to produce an attention getting warning signal. Reinforced polypropylene base, polycarbonate lens. Temperature Range: -22°C to +122°F (-30°C to +50°C).